UPDATE 10.30AM: A BLUE Yamaha off-road bike is still missing after a break and enter yesterday morning at Rosenberg Motorcycles. Police have confirmed a total of three bikes were stolen and two have been found, with the Yamaha bike still outstanding. 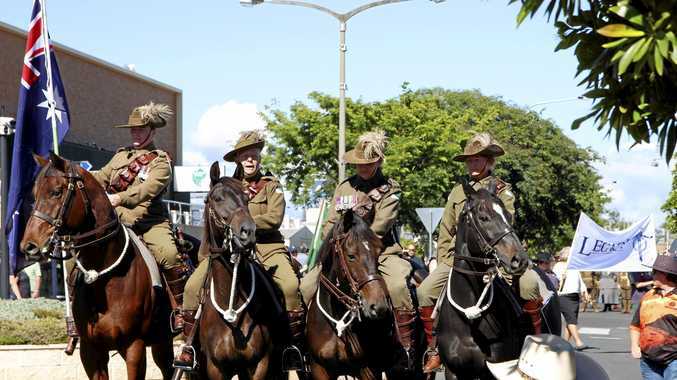 A Queensland Police Service media spokesperson said at this stage no one has been charged or is in custody. Police are continuing their investigations. UPDATE 4PM: POLICE have confirmed two bikes were stolen from Rosenberg Motorcycles this morning. It was reported one green Kawasaki trail motorcycle and one yellow Suzuki motorcycle were stolen. The two male persons gained entry through cutting bolts and locks on the door to the workshop. The incident occurred around 5.20am. People are continuing their investigations. 3PM: THREE bikes were stolen from a Rockhampton business early this morning. 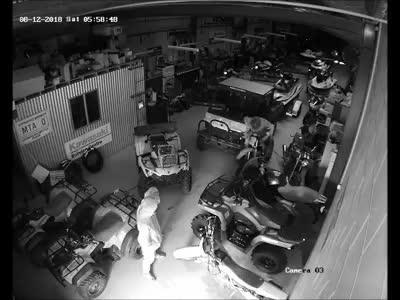 CCTV footage has captured two male persons stealing three bikes from Rosenberg Motorcycles at 5am this morning. It is understood two bikes were dumped across the road as they did not run. One bike is still missing and it does have a running motor. A male person was captured on CCTV footage at the front of the business on a pushbike. This theft follows three other separate incidents of vehicle thefts in Rockhampton overnight. One theft was just downs door as a Volkswagen Amarok was stolen from a driveway on Kent St. Anyone who recognises the persons in the CCTV footage is urged to contact Crimestoppers on 1800 333 000.